Summer is finally here, despite a bit of rain! 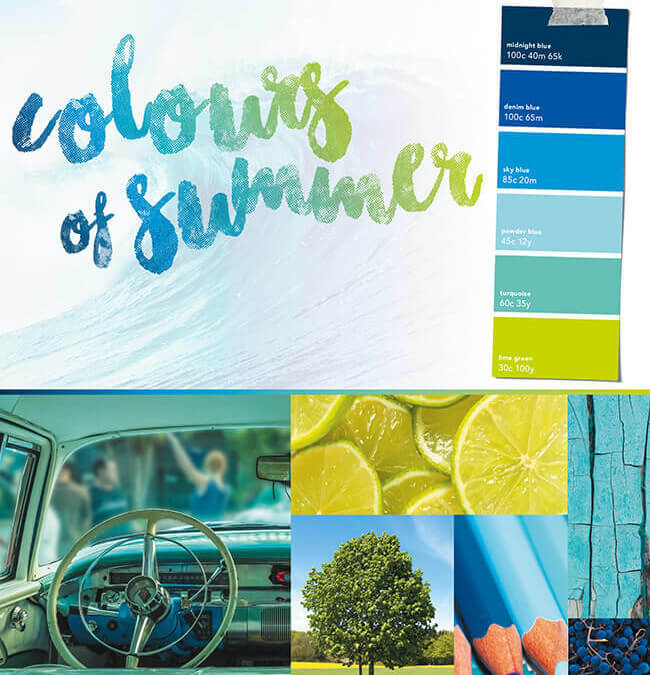 So now is a good time to take a look your current marketing and tweak it to reflect this year’s colours of summer. The colour palette for Summer 2016, from its deep blues to vibrant greens, will help to capture your most memorable summer moments. Whether it’s the sky blue overhead or the turquoise sea that covers the pearly white sand beneath your feet. Or sipping a refreshing lime green mojito by the pool as you wait for the sun to go down. If you would like a little summer paradise incorporated into your next leaflet or brochure then why not give our design team at Raphael Design a call on 01543 261220 or drop in for a coffee. We would love to have a chat about your next marketing project. INTERESTED IN MORE TOP TIPS? If you found this article interesting and would like to check out our other blogs, please click here. We share lots of useful information about design and marketing plus let you know about all our special offers. If you would like more information on any other products or services that we provide, please give us a call on 01543 261220 or drop us an email. We look forward to hearing from you!